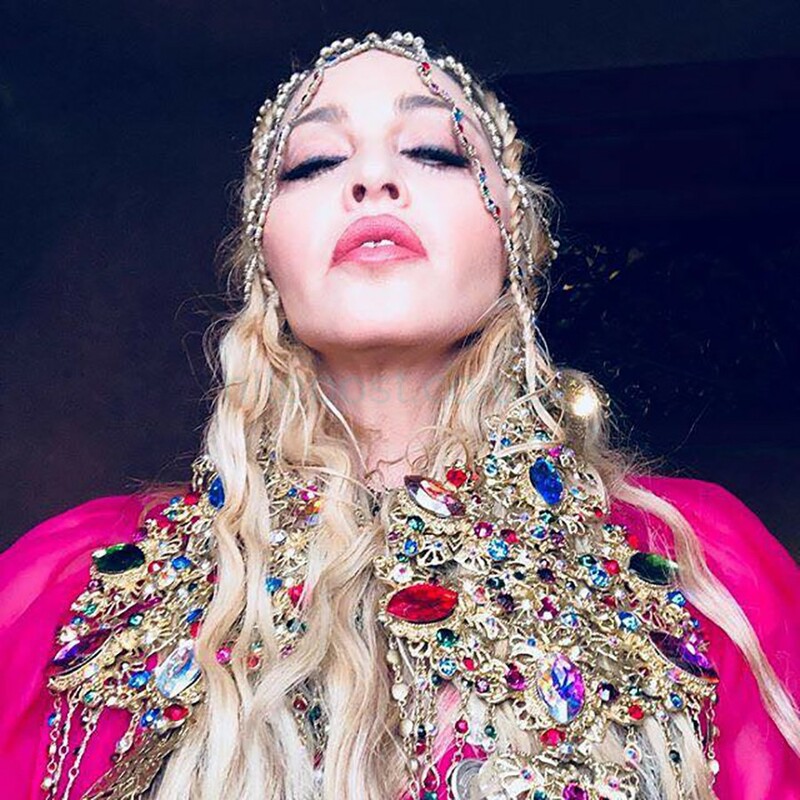 Top United States pop star, Madonna, celebrated her sixtieth birthday with a huge African theme from Marrakesh to Malawi. She disclosed her location as the Moroccan city of Marrakesh. Madonna currently has has six children, four of whom she adopted from Malawi, the most recent were a pair of twin girls. As part of her “love” relationship with the southern African state, she has launched a fund raiser hoping to get $300,000 for her charity work in the country. It started July 30 and ends on the last day of August, as at August 17, 2018; the mission had raised $221,000 with contributions from 1,494 people. “I have an unwavering commitment to providing vulnerable children with a loving home. For my birthday, I can think of no better gift than connecting my global family with this beautiful country and the children who need our help most. “Every dollar raised will go directly to meals, schools, uniforms and healthcare. I want to come together with my friends, fans and supporters to change the lives of Malawian children and let them know they are nurtured, protected and loved. Through their generous commitment to this organisation, Ripple will match each dollar donated to this campaign,” she said. “This fundraiser, which benefits Madonna’s foundation Raising Malawi, will run from July 30 through August 31 and utilizes Facebook’s charitable giving tools, which charge no processing fees, meaning 100% of every contribution goes directly to Raising Malawi’s work at Home of Hope orphanage, located in a rural, high-need area of Malawi. Also, the international payment firm Ripple has announced it will be matching all donations to Madonna’s fundraiser,” she wrote on Facebook.